Aptly named, this charming home truly is a rare “jewel,” ideal for a honeymoon or for some much needed alone time for any couple. Perfect for a couple's getaway! Built on a hillside, this holiday home overlooks Gouverneur Beach, which is considered the most exclusive beach on the island. This villa is perfect for those wanting a vacation with remoteness and total privacy. 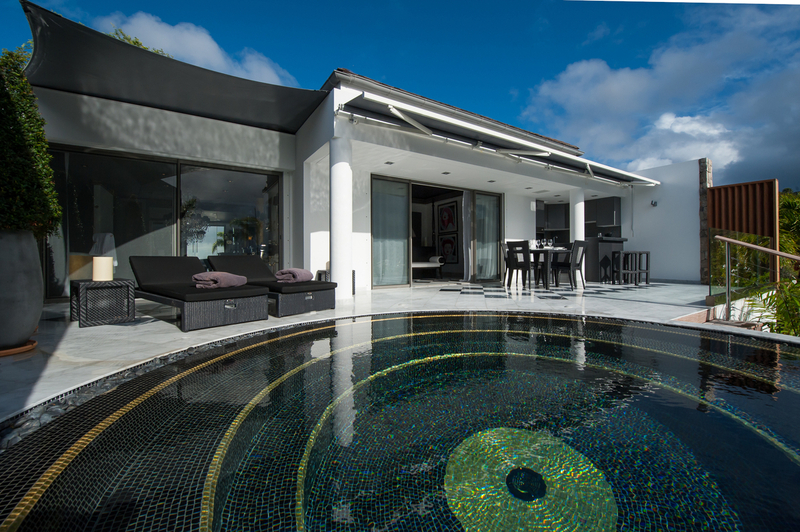 The open-plan living area and kitchenette opens to a plunge pool and terrace with sun loungers. An outdoor dining table and bar are partially covered for al fresco feasts and poolside snacks. The master bedroom features a luxuriously spacious ensuite bath and terrace access. The king bed, Apple TV, and ocean view make this suite perfect for a romantic getaway. Gouverneur Beach is a true treasure because it takes a little effort to get there thus making it a less visited location. However, this home is located nearby making it the perfect beach for peace and quiet. Enjoy a rental car plus Continental Breakfast with a minimum 7 night rental!